You are here: Home / Blog / Uncategorized / What is a Vampire Facelift? As you age, the collagen in your face depletes and wrinkles form from repetitive facial expressions. To keep a youthful look, there are many treatments that exist to correct the visible signs of aging but there are risks associated with these treatments of rejection as the body is very particular about what it will accept. One new treatment is the “vampire facelift” which uses autologous material from the patient, avoiding the chance of rejection. Vampire facelift or the platelet-rich plasma (PRP) treatment has been creating waves in the beauty industry. More so, after Kim Kardashian tried it in her much publicised reality TV show. The treatment though painful, holds the elixir to youthful-looking skin. We ask cosmetic dermatologist Dr Jaishree Sharad more about this treatment. PRP or the vampire facelift is so called because your own blood is taken and after separation of different constituents, the plasma with the platelets is reinjected into the skin. PRP has a long history of being used in orthopaedic medicine, dentistry, and reconstructive surgery, and now its benefits are being applied to other fields of medicine such as dermatology and cosmetology as this plasma is rich in platelets (platelet-rich plasma or PRP) and it contains growth factors which stimulate skin regeneration. Platelets are an important component in our blood and are necessary for normal clotting. However, these very same platelets when activated, release several proteins as well as growth factors which release stem cells, increasing collagen formation, skin-tightening and overall rejuvenation. Due to all these benefits, it is also called ‘Facial Stem Cell Regeneration’ therapy. How is the vampire facelift done? 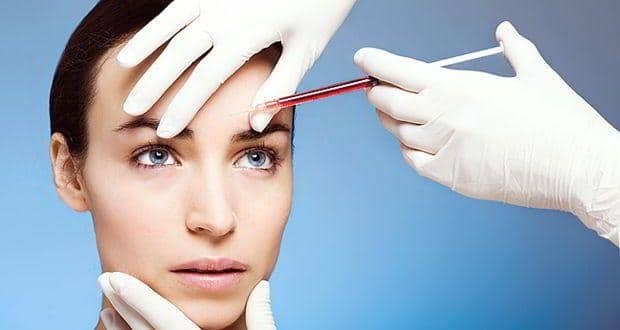 Local anaesthesia is given and the platelet-rich plasma is injected into the appropriate areas with very small needles similar to those used in Botox injections.